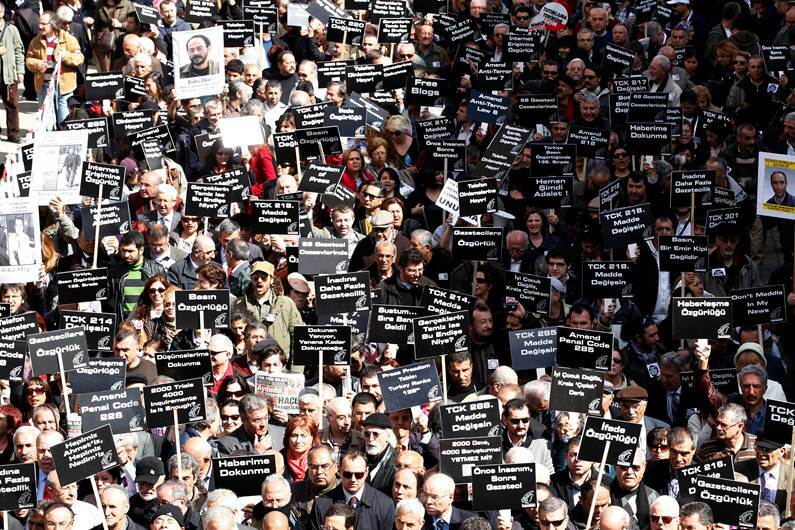 As we’ve written in previous posts, the Fourth Judicial Package passed earlier this month marked some important improvements for freedom of expression in Turkey. But the hard reality is that it did not go nearly far enough. Rather than push forward with the broad reforms Turkey so badly needs, the government has opted for partial measures. Apparently, Turkish officials hope that they can find a lowest common denominator which will minimize criticism, but leave many restrictions on freedom of expression in place. This is simply not good enough. The recent conviction of Fazil Say makes eminently clear that freedom of expression is still under attack in Turkey. Amnesty has now updated its petition calling for the decriminalization of dissent in Turkey in light of the Fourth Judicial Package. Take two minutes to sign the petition. Add your voice to the chorus calling for freedom in Turkey. And ask your friends and family to sign too. This entry was posted in Freedom of Expression, Internet Freedom, Turkey and tagged Amnesty International, buyasaylaolmaz, Fazil Say, Fourth Judicial Package, Turkey. Bookmark the permalink.